Stephanie's Stampin Spot! : Sweet Little One! 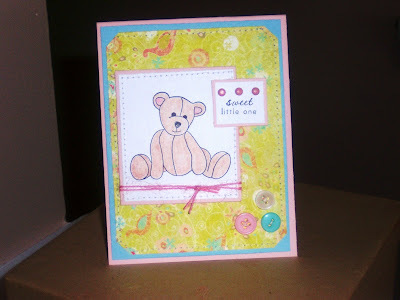 Another card using Beary Special from Taylored Expressions for this weeks Sketch Saturday challenge. I used more new My Minds Eye Paper. Thank you for joining us this week at Sketch Saturday! Very awsome card love the dsp and stitching!